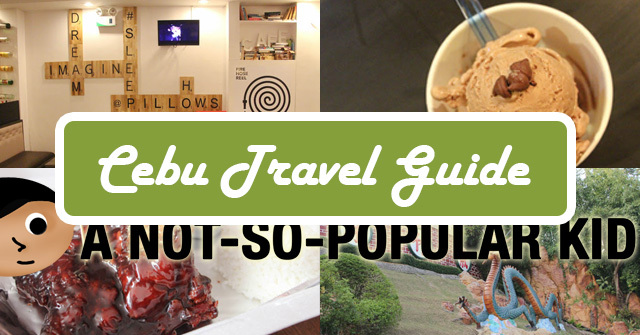 If you are planning to visit Cebu, you may want to consider those that I am about to share here in this travel and food guide. Cebu is a popular place despite it having a lot of semblance to that of Manila. Similarly, both cities are considerably developed with a lot of business activities going on. Anyway, what's special here in Cebu are the lechon, beaches, fried chicken and ribs! During January, the city celebrates the Sinulog festival which will blanked the city with colors and life! Plus there will be simultaneous street parties going on. I tried making this guide as intuitive and concise as possible by adding three sections namely "Places to Visit", "Where to Stay" and "Where to Eat". Each item under the category has a brief summary, but in case you want to know more about the place or restaurant, just click on the images or the link to be redirected to a separate post which will unravel more specific details. The ones included here are those that I was able to pay a visit. Of course, I'll do the best I can to keep this fresh and updates as much as possible. Hopefully, you will find this guide helpful in your travel! Note: You may be redirected to my other blog (wakitravels.com) for those relating to places to visit and where to stay, but all those related to food including the Tabo-an Market are housed here in this blog (anotsopopularkid.com). This place may in fact be the top tourist destination because of its historical significance to the city and Philippines as a whole. Things you can do here include offering some candles to pray for your wishes and of course seeing the cross itself. If you are looking for somewhat thrilling to do here in Cebu, you may want to visit the Sky Lounge near the famous Fuente Osmeña Circle landmark. Try the Edge Coaster, Zipline, Sky Walk and more. There is an entrance fee here. If you are soul-searching here in Cebu, make sure to drop by this place of meditation and peace. It's where you can enjoy the sights and silence.You'll also find here an area that resembles the Great Wall of China. There is no entrance fee here. Check out my blog post about the 5 activities you may do here! If you are looking for better priced pasalubong (dried fish, chorizo balls, dried mangoes and otap), you should drop by this Tabo-an Market. However, you may want to read my tips and reminders when going here. This hotel is really modern and adorable. The staff are really nice and the room is highly comfortable. Plus, there is a fast Wi-Fi and gym facilities. Breakfast is included in the rates. Food is wonderfully prepared with a viand of your choice, 2 eggs and coffee/chocolate/juice. If you want to choose a simple and modest place to stay. Then this may be for you. However, you need to take note that the facilities here are outdated including the air-conditioning unit and the television. Breakfast is included in the rates, but do not expect too much on it. It's just the basic dish with 1 viand, rice, egg and coffee/juice. 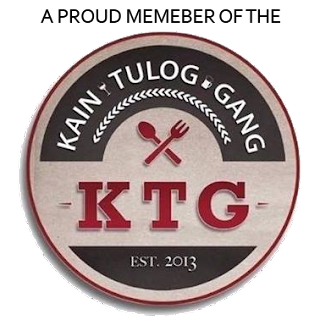 If you want to eat the very simple way, you may want to experience the traditional Pinoy dining culture (i.e. kamayan) here in Fidel Chicken Station. This place (which is actually a collection of several stalls) may not be the top in mind of Cebuanos if you ask for a barbecue place. However, I still find the experience here interesting. Plus, I just loved the kinilaw in one of the stalls here. This diner offered to me the first ribs here in Cebu that I really find good for my palate. I just love the sweet and savory blend of their sauce here. Casa Verde is already a name that probably rings a bell to you. This is because it has been famous for a long time. As a matter of fact, there is already a branch in UP Town Center. If you are looking for a sweet dessert, you may want to try the brownie cups here in La Marea. Do take note that the desserts may be excessively sweet for some. Avalanche - the blogger's personal favorite! This place is my personal favorite. I just love how amazing the place, the dessert and the staff are! Also, the ice cream selections here are rightly sweet. Have a Happy Travel! 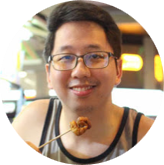 I hope you'll find this blog post helpful in planning your travel here in Cebu. Do recommend other places here in this awesome place by commenting below. Thanks everyone!